It can be tempting for those going through a divorce, especially where there are high stakes involved, to hide the divorce assets so that their ex-spouse can’t lay claim to them. A Swiss businessman has been accused of stealing $25 million worth of artworks from his Manhattan home only days before filing for divorce from his socialite wife. Tracey Hejailan-Amon says she collected between 17 and 20 modern works including Andy Warhol’s 1966 “Self-Portrait” and Jean-Michel Basquiat’s 1986 “Saxaphone” with her husband throughout their marriage. Then, in October, Amon’s art consultants “surreptitiously” lifted the collection from their $16 million Manhattan apartment and stashed them in a Queens storage facility while she was overseas, leading to the accusation that her husband had tried to hide these divorce assets. 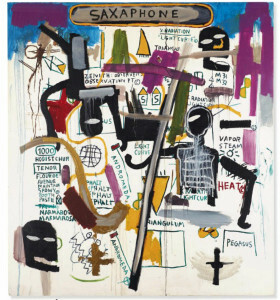 Jean-Michel Basquiat’s ‘Saxaphone’, one of the artworks in dispute. “These illegal and unlawful removals of the works of art is and was a strategic predicate for the service of a divorce action by Amon,” Hejailan charges in her suit. He later filed for divorce in Monaco. The couple did not have a pre-nuptial agreement, and Hejailan believes she is entitled to a substantial portion of the artworks. A lawyer for Amon said that the collection is not marital property. It will now be in the judge’s hands to decide how the artwork – and potentially many other assets – will be split. In this case, the divorce assets will probably be distributed evenly, but the court could look at a number of factors. The judge may choose to reward the spouse who made a greater contribution to the relationship which allowed the couple to purchase and collect the artworks. 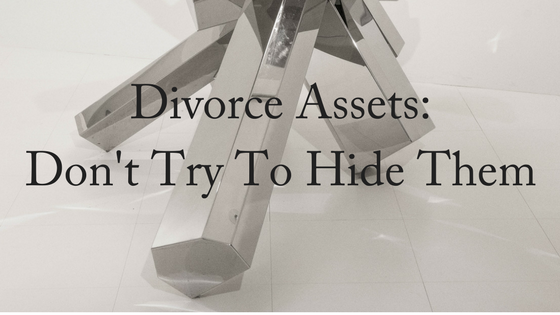 However, any attempt to hide divorce assets is not looked at favourably by the court. In another case, an Alaskan plastic surgeon didn’t want his wife of 28 years to receive any of his money, so he chose to hide his assets prior to filing for divorce. In 2008, without telling his friends, family and workplace, he travelled to Costa Rica and Panama, opening bank accounts in false names and eventually moving over $4 million to the accounts. He didn’t reveal the assets or income to the court or his divorce lawyer. Once the divorce became final in 2011, he repatriated $4.6 million. In Australia, a 56-year-old physiotherapist from Sydney’s southern suburbs, facing divorce proceedings, was caught trying to deceive his estranged wife into thinking his practice was worth much less than its real value. But the physiotherapist was exposed when the wife’s solicitor hired a private detective to pose as a customer and visit the husband’s practice for treatment. The trial judge decided the husband was trying to conceal his true income and gave him less than 10 per cent of the family home. While he did not technically hide divorce assets, he still chose to deceive his partner and was consequently punished by the court. The Family Law Act requires full and frank disclosure of the financial affairs of both partners who have to swear an oath and set out a complete statement of income, expenses, assets, financial resources and liabilities. The duty of disclosure is ongoing, so if there are changes in parties situations or facts come to light that were hidden even years after orders were made, then it can be a basis for asking the Court to change orders. The court in recent years has been very harsh on people who have not fully and frankly disclosed their proper financial position. We recommend that both parties settle a divorce in a fair and transparent way. A court battle is a time-consuming and expensive last resort, but if you think your former spouse is hiding assets, it’s important to get experienced advice. Contact us today for your FREE, 10-minute phone consultation. We are happy to discuss legal proceedings in regards to your situation. I think that hiding assets is a really bad idea. Having a completely transparent case is important. Getting a lawyer can help you out with that, making your case as ideal and honest and possible. Thank you for sharing! It’s interesting that hiding something like your assets can ruin your case. Law really is a minefield, and it only makes sense that you would want a lawyer to guide you through it. They know the system in and out, and they won’t let you make a mistake like this. Thanks for sharing! I think it’s pretty important to make sure that you don’t hide your assets. 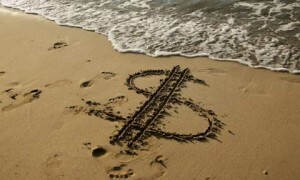 If you put your money offshore before a settlement, then you run the risk of not getting it back. Either that, or you won’t have enough money to pay through the court! Thanks for the post. I didn’t know that hiding assets could have so many serious consequences. My brother has been going through a divorce and I know he’s been pretty wary about coming forward with some of his assets and possessions. I’ll have to let him know that it’s definitely not worth the trouble it could cause. Thanks for visiting, and for your comment! We should never hide any assets. Thanks for visiting! That’s what we think, too. Thanks you so much for sharing this awesome article. I was in of that kind of articles. You said it right! I visit your blog pretty often and I always feel smarter afterwards. Anyhow, I just wanted to tell you that I appreciate what you’re doing here. I visit your site more than one time. keep updating article,i love to visit your blog. I have not much information about law. Thanks for sharing with us.